He named him Circle K Donovan. 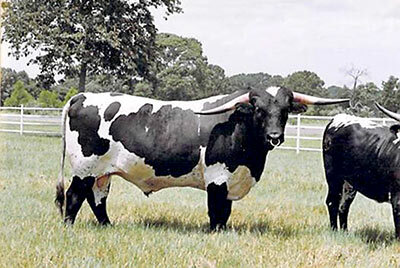 Check out the www.arrowheadcattlecompany.com site and he is dotted all over wherever big horned black cattle appear. He sired Night Chex who sired the great Bob Loomis cow Night Safari. Donovan is great grand son of the only great source of pure black in the TL industry, Don Quixote.